It's not the best quality photo but, hey, it's something. I think it's safe to say we'll be seeing more of the figure this weekend at Bandai's Tamashii showcase event. Stay tuned! X series models look way better. I'm glad I don't have to spend any money on this. I would buy a volnutt figure though. No Rock Volnutt? ;_; Mega Man already had a release from Kotobukiya recently. But hey! It's Rush! (and a Met) I wonder if this figure will be able to reproduce Mega Man 7's opening helmet, giving it more Power and sell like a Super Jet. Megaman looks funky. The mid-cut torso, the painting on the thighs that tries to complete the suit, and the paint job and joints near the buster and hand are all just a visual mess. Not bad. I wonder if Rush is going to be sold as well. I wonder if Rush is an accessory or a separate figure? Wow, definitely going to buy this one, especially if it comes with Rush and the Met. Eh, looks pretty cool I guess. A bit...thin? I think Kotobukiya nailed the classic figures. I see no reason for D-Arts to make their own but, y'know, whatever. A bit underwhelming. I'd like to see some different characters. 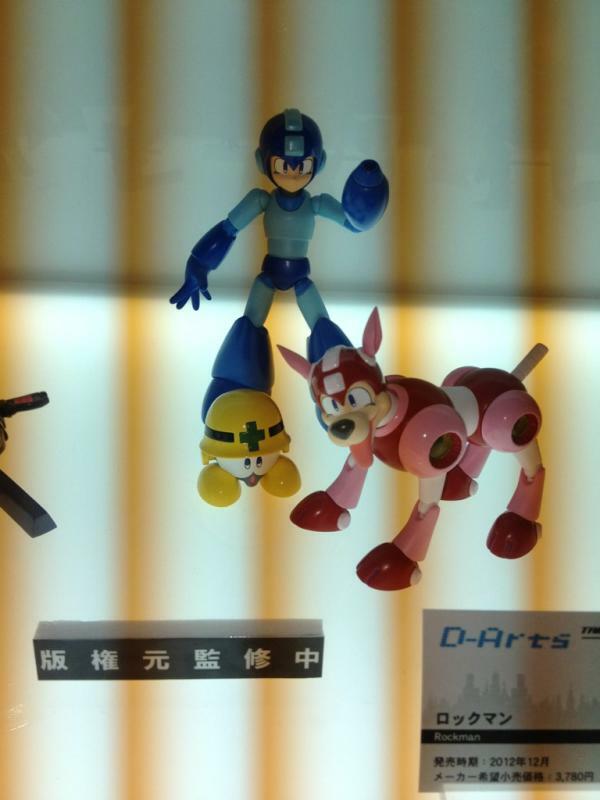 A new classic Megaman figure? Cool! Chosen over Megaman Volnutt? ROFLMAO!!! guys theres a video on it! !